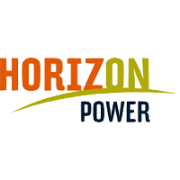 Horizon Power provides safe and reliable power to homes, businesses and communities across 2.3 million square kilometres of regional and remote Western Australia. We operate 38 different power systems across the Pilbara, Kimberley, Gascoyne, MidWest and Goldfields-Esperance region, each tailored to the unique needs of that community, town or region. Our 450 strong team of people work to ensure we are providing the lowest cost sustainable energy solutions for our customers, leveraging new technologies in an increasingly renewable energy landscape.